We are a busy and friendly family school, buzzing with exciting and stimulating learning opportunities. We pride ourselves on providing a caring and friendly environment. Your child’s progress and development is at the heart of our school ethos. Class teachers will monitor the progress and development of all children in their class throughout the year. If they have any concerns, regarding progress or other areas which the children are showing some difficulty, they will communicate with the Special Educational Needs coordinator, Miss Booth (SENDCo). The class teacher and SENDCo will then work closely to monitor your child’s progress and academic achievement and decide if further support in school is required and if they need to be added to the Special Educational Needs register. Class teachers meet with parents on a termly basis through parents’ consultation evenings to discuss progress. If there are areas of concerns, class teachers will discuss with parents the school’s plan to support your child. We highly value parents’ support and contributions to this; we believe in working as a team to provide the best provision for the children in our school. If appropriate, separate individual meetings will also be held with a range of professionals such as the SENDCo or Educational Psychologist to identify and create a plan to best support your child. The main support for children in our school will be their class teacher and teaching assistants. This will range from one to one support to group support. Class teachers will plan work which will be matched to the needs of individual child in order for them to make rapid, sustainable progress within lessons. Pupils may also have identified additional intervention with support staff, directed by the class teachers; this may be from staff within school to external professionals. This support will be monitored and evaluated in pupil progress meetings by the Head Teacher, on a termly basis by the SENDCo and on a regular basis by the class teacher. Decisions about the type and amount of provision required for your child are made on an individual basis with the class teacher, Senior Leadership Team and the SENDCo. The class teacher will work with the SENDCo to set targets for each child every term. This will be specific, achievable targets to help your child make progress. All members of staff who work with your child will be aware of the targets. When planning interventions, the teacher will decide what extra provision your child needs and this will be overseen by the SENDCo. Any extra provision your child receives will be discussed with parents on parents’ consultation evenings and our door is always opening to discuss any concerns with class teachers. The SENDCo may contact parents for meetings from time to time, if additional support is external to the school, such as an Educational Psychologist or Occupational Therapist. The school will assess the impact of the provision in a variety of ways: termly pupil progress meetings, verbal feedback between class teachers and support staff, analysis of data, conversations with the children involved, continuous assessment by the class teacher and termly reviews with the SENDCo. All children in the school follow the National Curriculum set by the Government. The curriculum will be adapted to meet the needs of each child within our school. Teachers will plan exciting and engaging work based on the level at which the child is working and their next steps. Within everyday lessons, differentiation is essential to match the needs of the children. There may be individual set tasks, work with support, small group work or work in a one on one situation. As a school we strongly believe in inclusion as and where possible; this is at the core of our provision. Your child’s wellbeing is of uttermost importance to us as a school. Staff are always available to listen to any concerns over a child’s wellbeing and offer any support they can for the children. Medicines are administered through the office and the school must have your consent to administer medication. Inhalers for asthma are kept in the relevant child’s classroom in a medical bag. We strongly believe in inclusion at all times. All children will be included in activities outside of the classroom. Parents are encouraged to accompany the school on trips in the Early Years and Key Stage 1 alongside support staff. In KS2, support staff will accompany on trips. Full risk assessments are carried out prior to any trip. The school is one level which makes it fully accessible to children with disabilities and/or wheelchairs. Each classroom is fitted with an interactive whiteboard alongside a traditional whiteboard. Within school, transition is of high importance as we realise that this can be a worrying time for children and parents. To make transition as comfortable as possible and as we are a split site school, we have regular opportunities working together as a school, for example weekly whole school assemblies, so children are familiar with the whole building. This gives the children the opportunity to see all staff members and all children. Around the end of the year, children will spend some time in their new classroom with their new teacher in preparation for the transition the following September. In Early Years and Key Stage 1, an informal meeting will be held with the parents where class teachers discuss the expectations for the next year. At the end of Key Stage 2, children begin to work with their chosen secondary school in preparation for the next stage of their education. 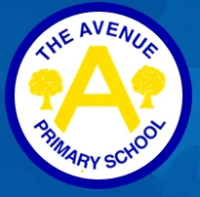 We encourage new starters to visit the school with their parents to get a feel for the family atmosphere of The Avenue. Transition days are available if the move to the school will be planned for a later date in the year. All staff in the school will ensure that a transition is as easy as possible for the children involved and information regarding data, Special Educational Needs and any other relevant information will be communicated between ourselves and the previous school. The school has an allocated SEN notional budget, which is extra money allocated for children with SEN, based on the SEN register for that academic year. From this budget, the school covers the costs of any additional support for children. The budget is allocated based on the needs of the child. If the school believes that they cannot meet the needs of the child with the allocated notional budget, we will apply for extra funding known as ‘Higher needs funding’ from the Local Authority. The school holds parents’ consultation evenings in the first two terms of the school year and sends out a detailed final report in the third term, along with an open afternoon for parents. Through this, teachers will inform parents of how their child is doing with all aspects of school life. If class teachers and/or the SENDCo wish to discuss progress further, we will contact parents and arrange an appointment to come into the school. We also have an ‘open door’ policy – our staff are always available to discuss how a child is progressing in school.